Looks fresh from the garden, but this gorgeous autumn rose bouquet lasts forever. 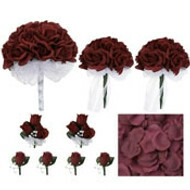 Two dozen fall colored silk roses in burgundy, yellow and peach are gathered together with elegant organza chocolate brown ribbon. 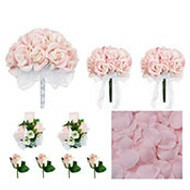 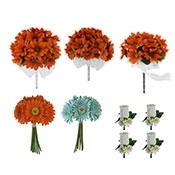 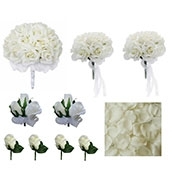 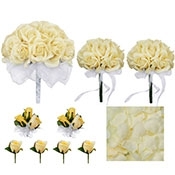 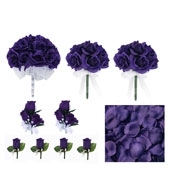 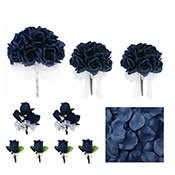 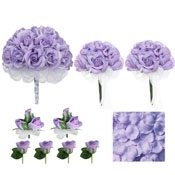 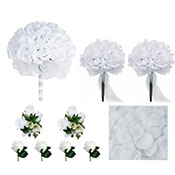 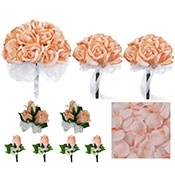 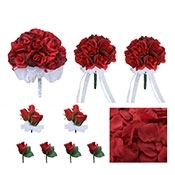 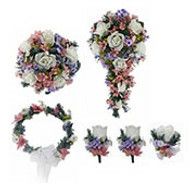 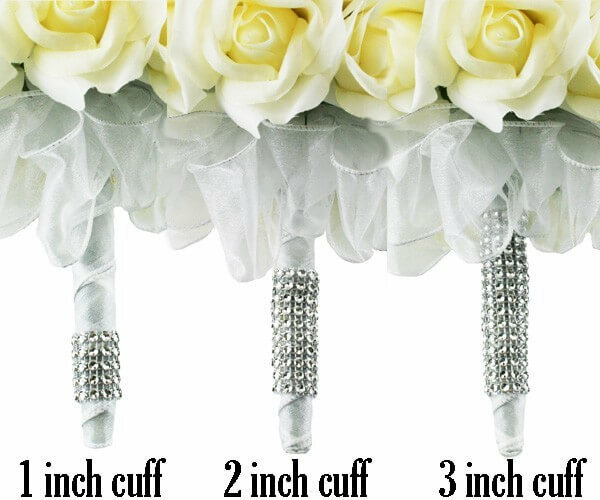 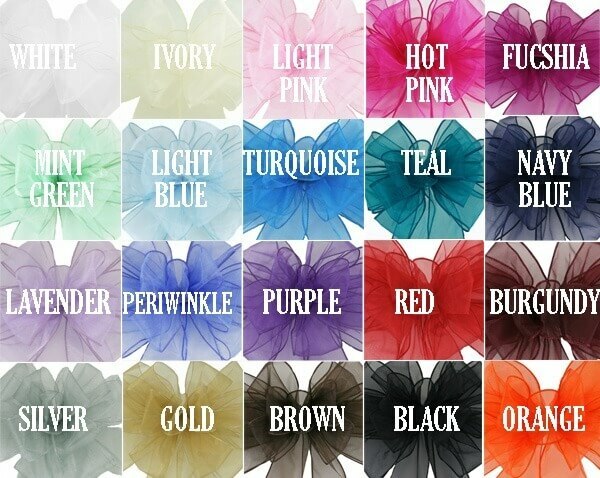 These flowers make magnificent wedding bouquets for bridesmaids and can be given away as keepsakes that will help make your wedding day even more memorable for those close friends and relatives that participated in the ceremony. 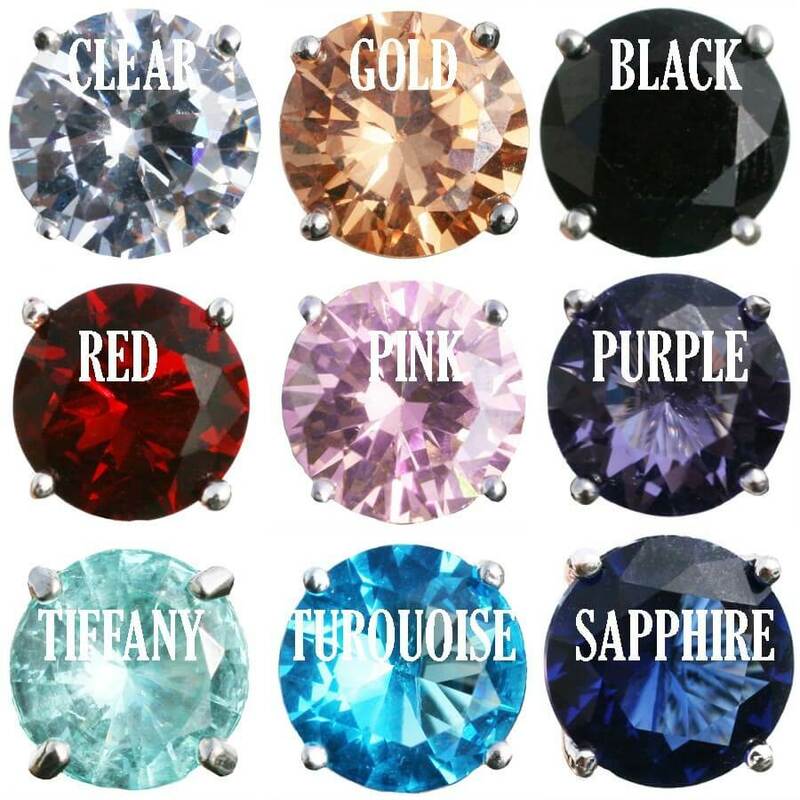 Add some of our exclusive Champagne Diamond jewels for added sparkle.